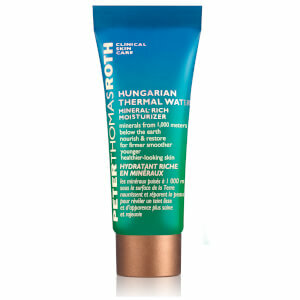 The Irish Moor Mud Purifying Black Mask from Peter Thomas Roth deeply cleanses and decongests skin without stripping moisture. Its unique formula contains 9,000 year old Black Moor Mud, harvested by hand from the Irish countryside to provide a high concentration of bio-minerals, vitamins and antioxidants to help protect skin. Hijiki Seaweed hydrates skin, whilst Volcanic Ash delivers a revitalising, purifying and refreshing effect. Enriched with Activated Charcoal, the rich mask effectively removes excess oil, dirt and impurities and minimises the appearance of visible pores for a smoother, more refined-looking complexion. Experience renewed, youthful-looking skin with a natural glow.